By Peter Anderson Leave a Comment - The content of this website often contains affiliate links and I may be compensated if you buy through those links (at no cost to you!). Learn more about how we make money. Last edited March 26, 2019 . I‘ve always loved to read. There's nothing quite like curling up with a good book on a rainy day and transporting yourself to another time, another place or even another world. My parents read to me as a child, reading series like the Chronicles of Narnia, the Lord of the Rings and countless others. I can remember saving up my allowance and asking for gift cards to our mall bookstore growing up so that I could find something new to read. There was nothing quite like going to the store with my cousins after Christmas and thumbing through stacks of books, trying to find the one we would bring home. These days things have changed a bit when it comes to books. While I still love to read, there are so many more options than just the library or the local bookstore. We can buy just about any book we want online through Amazon.com or Barnes and Noble, and we don't even have to leave the comfort of our own home. The books now come in digital formats, and we can download hundreds of books onto an e-reader. No more need for large bookshelves for all of your favorite volumes. Even better, if you don't want to spend any money to get literary entertainment, you don't have to. 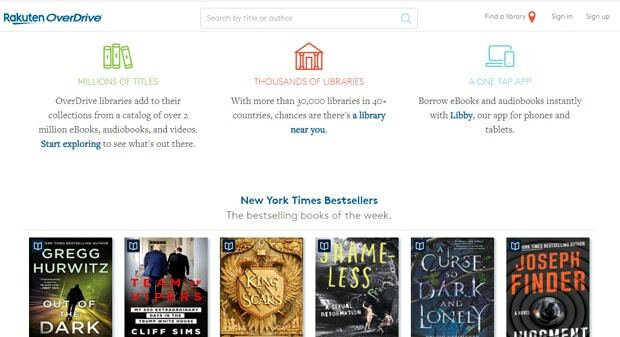 There are a ton of places to read free books online, saving you some cash and physical space. So today I want to share 21 of my favorite places to read free books online. If you're going to be downloading a lot of free ebooks from online libraries, it can quickly get out of control if you don't have software to manage and organize your digital files. A software that I've used and have grown to love for managing digital ebook files is Calibre Ebook Management Software. 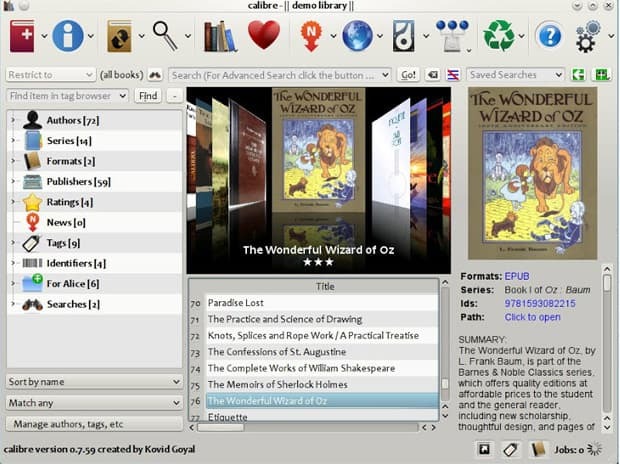 This software will allow you to manage and organize your e-library, convert files to a format that works on whatever e-reader or mobile device you're using, modify and edit cover art and more. At our house I use a Kindle Keyboard, which is an older model Kindle e-reader. I can just connect the Kindle to the computer, and then transfer ebook files from my Calibre library to the Kindle. So FBReader will take the ebooks I've uploaded to my mobile device and store them in the cloud on Google Drive. Then whenever you access the ebook from any device you own, it will go right to the last page you were reading in the book. The app isn't free, but it's worth it if you read a lot of ebooks. 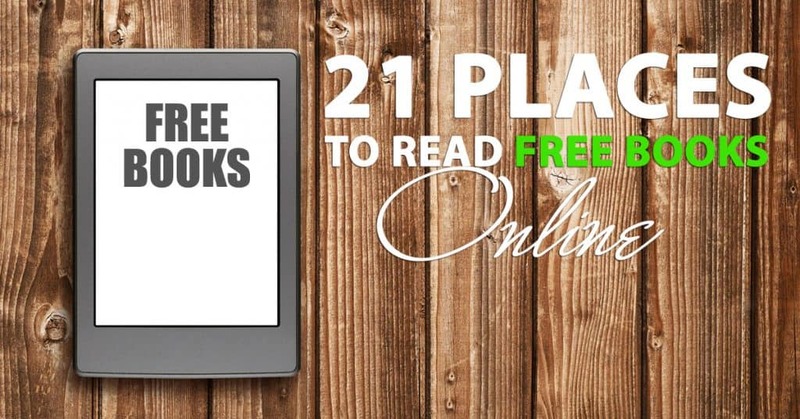 So with the software out of the way, let's dive into our list of 21 places to read free books online. So now that we've got the software in place to be able to read free books, let's get down to brass tacks and explore all the places that you can find free books online. 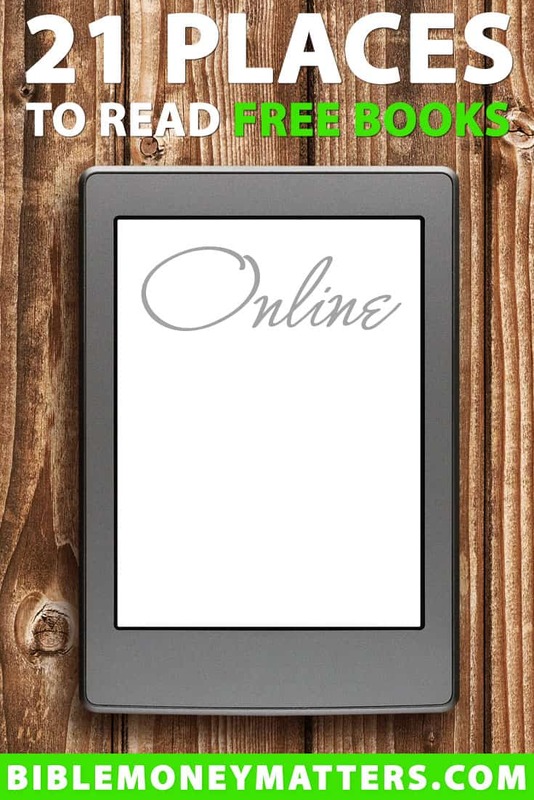 Rakuten Overdrive is an online portal and apps for iOS, Android and Microsoft devices that allows you to borrow ebooks, audiobooks and more from your local public library. All you need is a library card from one of the connected libraries in your area. I've used the Overdrive library for my local library for many years now here in Minnesota, and it's super easy to use. I just sign in using my library card number and a pin number, and then I have access to my library's online catalog of books. Just browse the library or search for a certain book to read. Then you just choose what format to download the book in, either an .epub format book, or download it directly from Amazon to a kindle device. Once the book is borrowed and downloaded it is yours to read for the regular library checkout period. If you don't read it quick enough, often you can renew your checkout. Definitely recommended, and one of my go to places to get free (and new release) books! 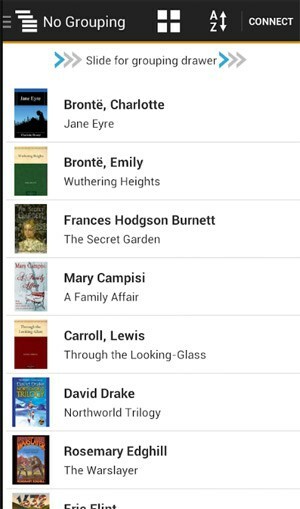 cloudLibrary is another service similar to Overdrive where you can download ebooks, audiobooks and more from your local library's collection. 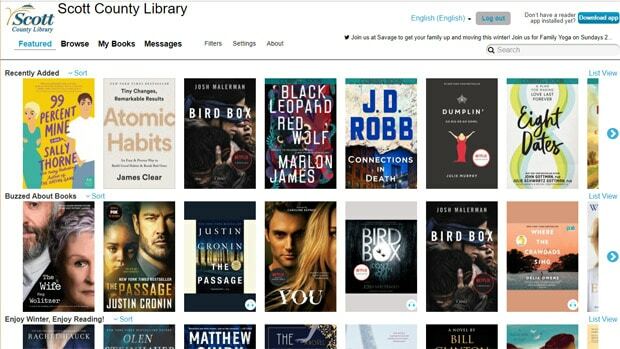 My local library switched from Overdrive to cloudLibrary recently, and while I'm still getting used to it, it seems to have basically the same selection and availability of titles that the Overdrive library did. Using the cloudLibrary is simple. 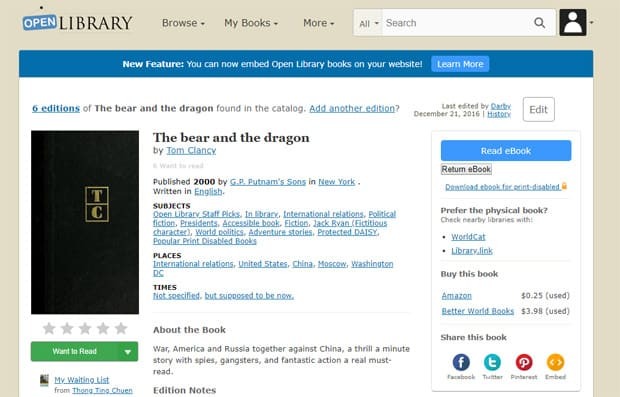 You just setup an account using your library card number and pin, and then once you have an account you can start checking out books and audiobooks using the cloudLibrary application and apps. Download and read your books right on your devices, or on your computer. 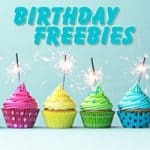 The best thing of all – it's free. I use cloudLibrary constantly now. Hoopla has over 1,500 library systems in the US and Canada that use their service. 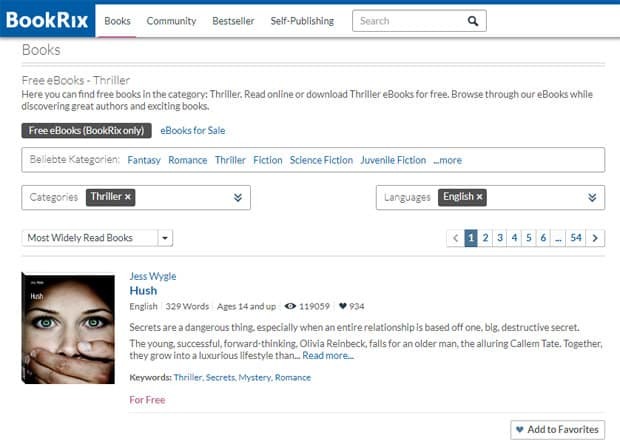 Similar to cloudLibrary or Overdrive, you just sign up, search for your local library, and create an account using your library card number and pin. Once you have an account you can download ebooks. 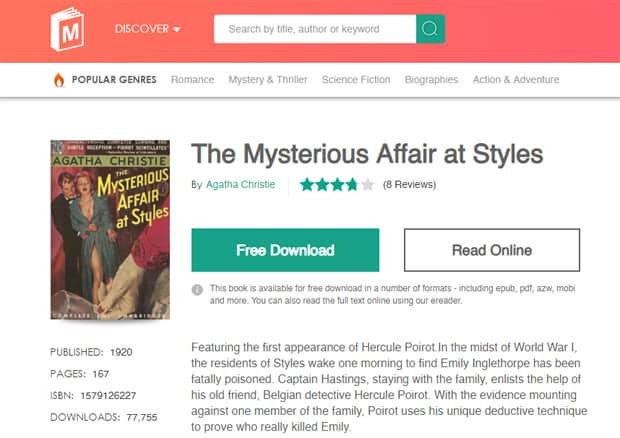 One thing that's different with Hoopla, however, is that they have more than just ebooks. They also offers streaming media like movies, TV shows, music, comics and more. The only caveat with this one is that your local library has to be a member of this service in order to take part. Unfortunately my local library isn't participating currently, but finding out if your library is a part of it is easy – so it's definitely worth checking out. They have apps for iOS, Android, Fire TV, Apple TV, Roku and more. Amazon.com has several ways that you can get ebooks for free. If you're an Amazon Prime member, the Kindle Owners' Lending Library has more than 800,000 books to borrow for free with no due dates, including current and former best sellers and all 7 Harry Potter books. I've used this quite a bit on my Kindle e-reader, and many of the books are pretty good and best sellers. Books can only be borrowed and read on Kindle devices (works with all Kindle generations), and you do have to be a Prime member. Besides borrowing books directly from Amazon's lending library, you can also borrow books from other users. The process is pretty simple. Your friend just has to go to the Kindle Store from their computer, and then locate the title you'd like to borrow from them. On the product detail page they click “Loan this book”. They will be sent to the Loan this book page. On this page they'll enter your email address and an optional message. When they click “Send now” it will send you an email with instructions on how to borrow the book. The loan is good for 14 days, during which the person who loaned the book won't be able to read it. 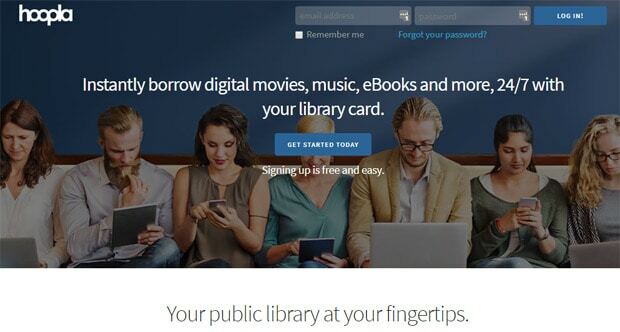 There are quite a few sites where you can register and then borrow or lend books to and from other users. 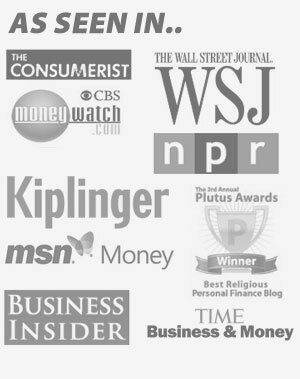 Here are a couple of the sites I've used in the past. If you're an Amazon Prime member, there is a program called “Amazon First Reads” where you get early access to editor's pick new release books, and Prime members can choose one free Kindle book on the First Reads list each month to keep at no cost. 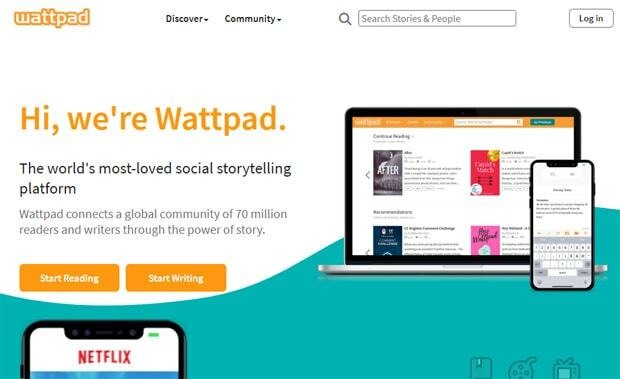 Wattpad.com is an online community where authors can share the books they've written, most of them unpublished works. The community on the site then rank the books and the most popular ones will rise through the ranks. The stories and books are free, and some of the most popular on the platform have now been offered book deals, and some have even been optioned for TV shows and movies. While many of the books here aren't great, or are more romance or teen drama oriented, I've found quite a few entertaining science fiction and drama reads here. Read online, or via one of their apps. 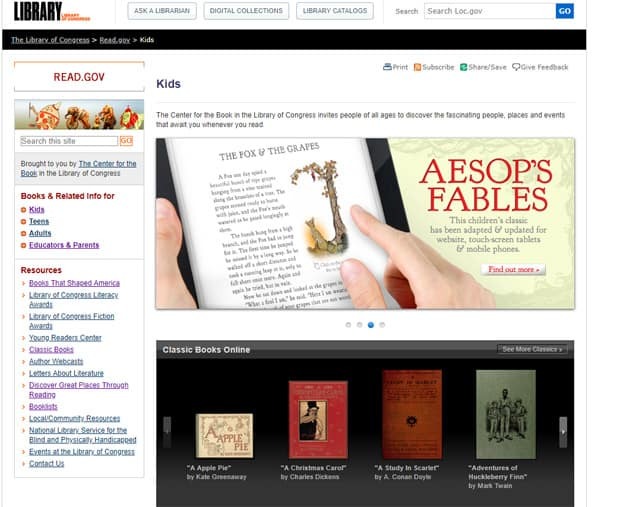 The goal of the Open Library is to create a page on their site for every book ever published. The site currently has over 1 million books listed, with more being added all the time. If you'd like to read books for free online via this site just search bar at the top, and then once the results come up, filter your results so that it shows you “Ebooks” only. This will show you a listing of books you can read online, or if there isn't an available copy, you can join a waitlist. Signing up for an account is free and easy, it only takes 5 minutes or less. 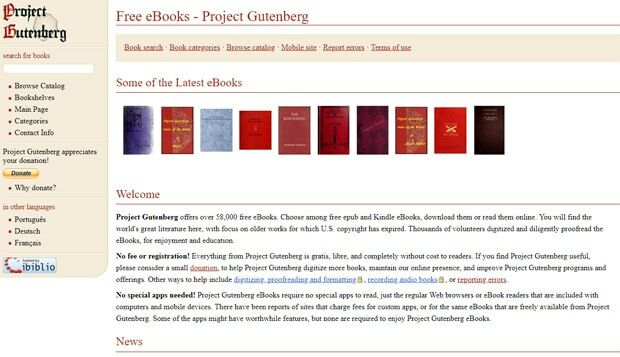 Project Gutenberg is the oldest digital library having been founded in 1971 with the goal of making available for free (and electronically) literary works belonging to the public domain. The website asks for donations, but it is free to read any of the online books that they offer. They currently have over 58,000 eBooks to choose from, and many or most of them are compatible with the most popular e-readers. Google is a repository for all sorts of knowledge and data, and they also hold one of the most extensive collection of free ebooks online at Google Books. 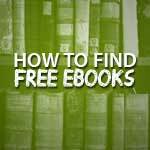 To find a free book just go to https://books.google.com/ and type in what you're looking for. 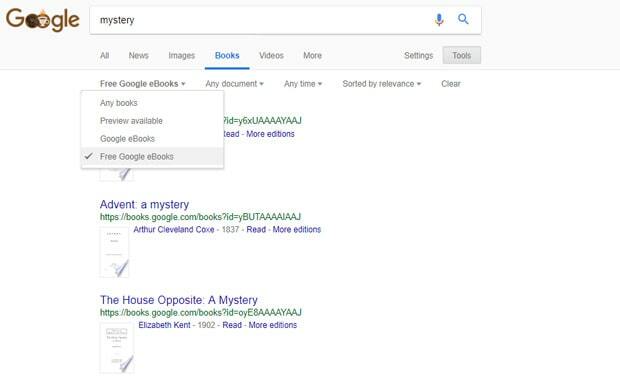 In the results that come up just click on “search tools” and then change the search setting from “any books” to “Free Google eBooks”. Once you make that change you'll be able to view all of the free books to read that match your search. 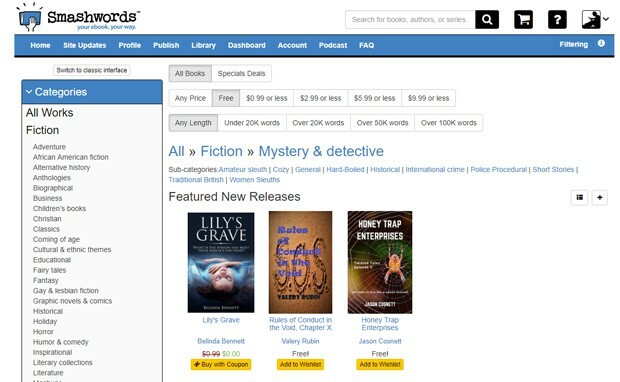 Smashwords is an ebook site that has ebooks available in just about any genre or category that you can imagine, from biographies to the classics. The site has over 507,000 books published, but not all of them are free. Once you click on that filter the page will refresh and show only books that are available free of charge. Open Culture has a listing of over 800 free ebooks to download to your computer, Kindle, e-reader or other mobile device. The collection on their site includes everything from fiction to non-fiction to poetry. Taking a quick look I see books from the likes of Hans Christian Andersen, Arthur C. Clarke, William Shakespeare and Mark Twain. Hundreds of books by famous authors and poets. They also have a listing of over 900 audiobooks as well. BookBub is a free to use site where you can discover thousands of ebooks, many of which are free to download and read. Once you create your account it will prompt you to choose your favorite reading genres and it will provide reading recommendations. 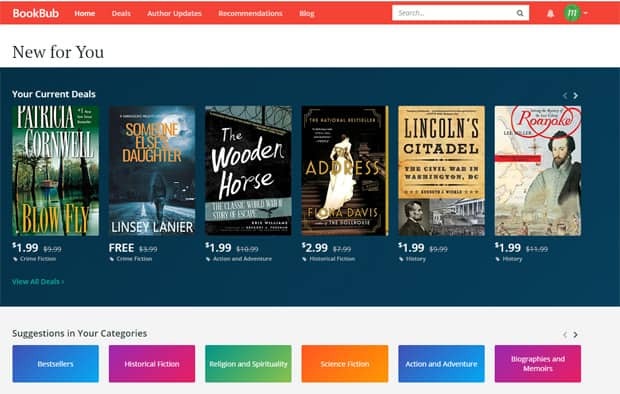 BookBub has plenty of free books that you can find via their site, and in addition they often have hot deals on new releases and bestsellers, sometimes up to 75% off retail price or more. Definitely worth a look if you want to buy a new release. ManyBooks currently has over 30,000 free online books for you to discover and read. The catalog of free books tends to lean more towards classic and older titles, versus new or contemporary releases. The selection, however, is very good, and you're likely to find some great books from popular authors. ManyBooks also has a ton of other newer releases available for purchase at discounted prices. The Library of Congress has a ton of classic books available for download or reading online at their site. They have a nice collection of kids books, teen books and adult books. On their site they also have listings of books in categories like “Books that shaped America” and “Classic children's books”. Definitely worth checking out, especially if you want to read classic books. Read Any Book has a lot of great contemporary books to read online, more than many other sites. They've got books from Stephen King, Harry Potter series, Crazy Rich Asians and more. I also started to read a couple of popular books that were recently turned into movies, Ready Player One and Mortal Engines. Reading the books on the sites is free,but if you want to download the books and take them with you you'll need to get a subscription, which is pricey. If you need a subscription other sites may have a better deal. But for reading online, it's got a great selection of free stuff. 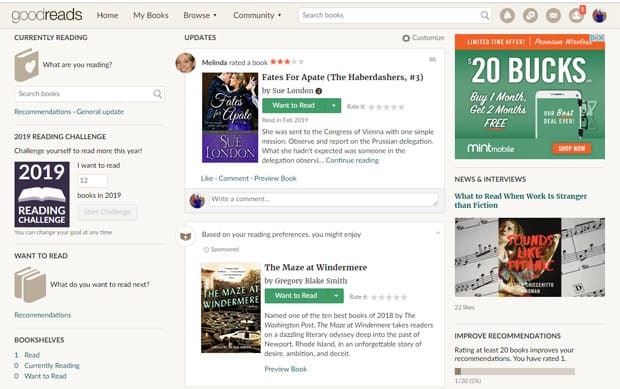 GoodReads is a site where you can setup an account and track what books you're reading, list the books you want to read, and connect with friends and strangers alike to see what other people are reading. It's a social site for people who like to read. The site has links to a few thousand free books that you can read, and while they're not all that great, some of them are worth a second look. The main benefit of this site in my eyes is to connect with other readers and to see how others rate books you're thinking about reading. 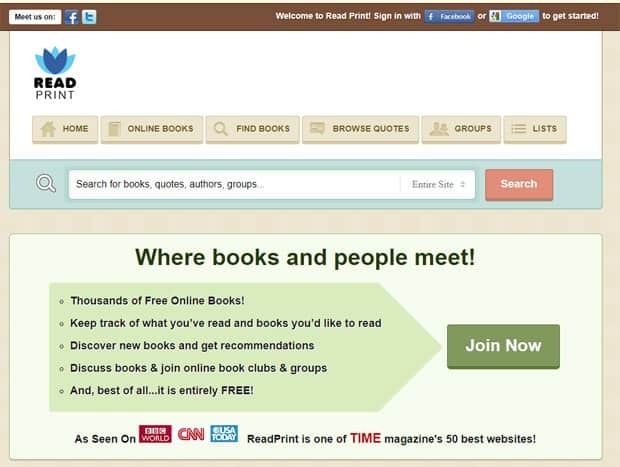 ReadPrint.com is a site that allows you to read thousands of books online for free. Most of the books on the site are going to be classics by well known authors like Mark Twain, H.G. Wells, Jane Austen and more. 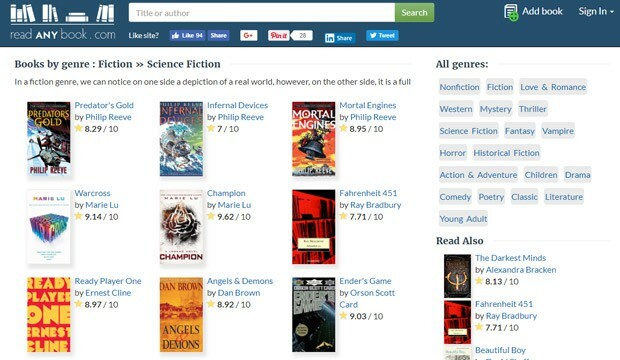 BookRix is an online community of independent authors who publish free ebooks in a myriad of genres. You'll find books here in the fantasy, romance, thriller, science fiction, children's categories and more. Best Deal On The Internet! Thousands of FREE Ebooks, Including Hundreds upon Hundreds You'll NEVER find on Amazon! They've got children's books, sci-fi, business books, parenting, philosophy and religious texts. You name it, they have it. Just go to their site, sign up for the free account and start browsing. When you find something you want to read, just download it! FanFiction.net is a place where normal people can write short stories, or novel length spinoffs of their favorite fictional worlds. 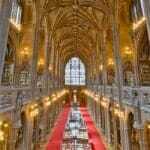 Want more content related to Harry Potter, or the Chronicles of Narnia? Head on over to the site and search through their archives for your favorite fantasy worlds. 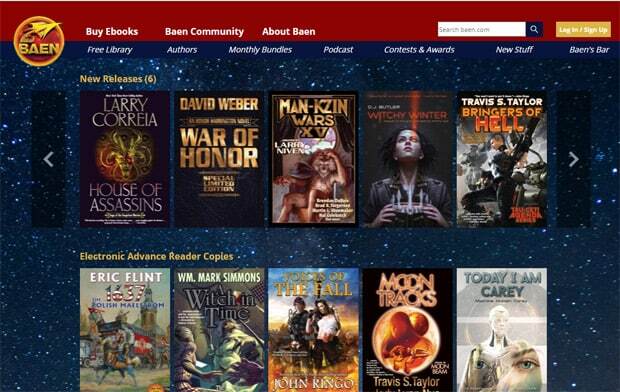 Baen is a site that has mainly science fiction and fantasy related content. The site does have books for sale, but they also have a large free library where you can access some of their content. Audible has one of the largest selections of audiobooks available anywhere online. Audible may not be a free service, but that doesn't mean that you can't try it out for free. 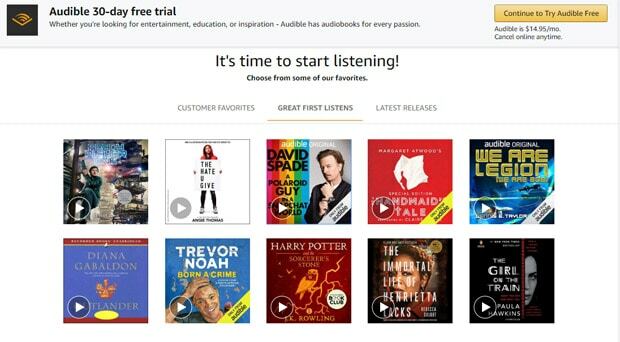 Audible is now offering a 30 day free trial where you can get 2 free audiobook downloads, along with 2 Audible Originals for no cost. After the 30 day trial the membership costs $14.95/month, at which time you'll get 1 audiobook and 2 Audible Originals per month. If you don't want to continue and just want to get the freebies, just make sure to cancel your membership before your next month's bill comes due. You can cancel at any time and the audiobooks are yours to keep forever. Ever since I discovered that I can get just about any book I want for free online, I've spent a lot less money on books. The ebooks through my local library and services like Overdrive, cloudLibrary and Hoopla were the biggest help and savings. I was able to get new releases in just about any genre, and save a ton of money on books I really wanted to read. After the library linked sites Amazon's lending library and Amazon First Reads got the most use by me. I have read countless free books from their library. The other sites listed have also been extremely helpful for finding new content, and for rediscovering some classic reads. Finding great books to read is no longer as expensive as it used to be, and due to the proliferation of digital ebooks, it's easier than ever to discover and start reading a new book tonight. Just search one of the sites we listed, download an interesting looking book, and start reading! Have a good read! 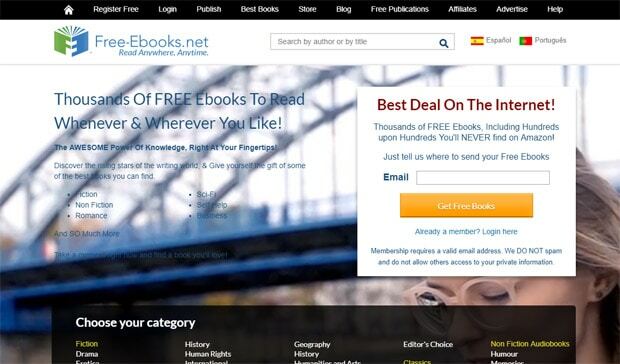 Have your own favorite sites that you use to read free books online? Tell us what they are in the comments!